Once more spring has passed and it is now summer. A cool breeze drifts past the window. I think of childhood and how the days of summer did not end back then. Now, when the light begins to fail, I want to go for a walk in the cool night air. Where to? I do not know. Until what time? I do not care. If I left I would not return. What is there to return to? People have dreams and make memories in the dark hours. Especially during the summer when the darkness is a soothing comfort not a sign of insensitive death. As a child you think adults have freedom while you yourself have routines and people to answer to. You answer to your parents, your teachers, you community. When you are an adult you still have chains but now they are invisible. The barbed wire of etiquette twisted around you harming you every time you allow others to treat you as an inferior for decorum’s sake. The razor blades of financial worries giving you the death of a thousand cuts. The pressure of self-inflicted moral restraints contorting who you were, are and will be. Existentialism poses the question asking what exactly is stopping you from dropping everything and walking away. These tethers we bind ourselves with are not real, physical, things. But they are there all the same. An adult answers to their employer, to their family, to their peers and to the government that cannot see them as anything other than a statistic to be checked off the page. The night air soothes the skin. Caresses it like a woman placating the injured thinking this tactile moment of amity, invading the solitude of suffering, will ease the tormented and assure their soul. I will walk away from the lights of mankind’s pointless struggle against the beautiful night but in the end, no matter what direction I walk in, eventually I will return to it. The only other choice is to blindly walk off a cliff into the awaiting pitch black sea who will claim me for her own. A phone will ring at the chapel down the bottom of the slope and the Samaritans will be told it was too late but they will go home in the end and sleep peacefully. I cannot go because I will not return. There is nowhere to go. I am ensnared by responsibilities others have foisted on me because of the choices I made and the indecisions I allowed. I am in a gilded cage of my own creation and soon the night will past. I will wait. Wait until it returns once again. The cycle will continue until autumn kills it once more, dressing the floor with its golden red entrails and we bow our heads during the winter songs where the world is washed away to muddied grey and white tones. The air is stale in here. I can breathe – but only with a heavy heart. I will embrace the night and sleep. I know when I awake the light wll have been victorious over the night and the cycle of maturity will repeat once more. I have the past few evenings wanted to go for a walk. I have not though. I don’t know where I would go. There is nowhere but to the town with its glittering lights and dirty covered paving. To sit in a bar and drink until the ring of the bell for last orders and the long, lonely, walk back home. Tomorrow is another day – a day like any other day. Unplanned piece. Flawed but then it fills the blog until the next entry. Like, Comment, Follow – Any of these are welcome. 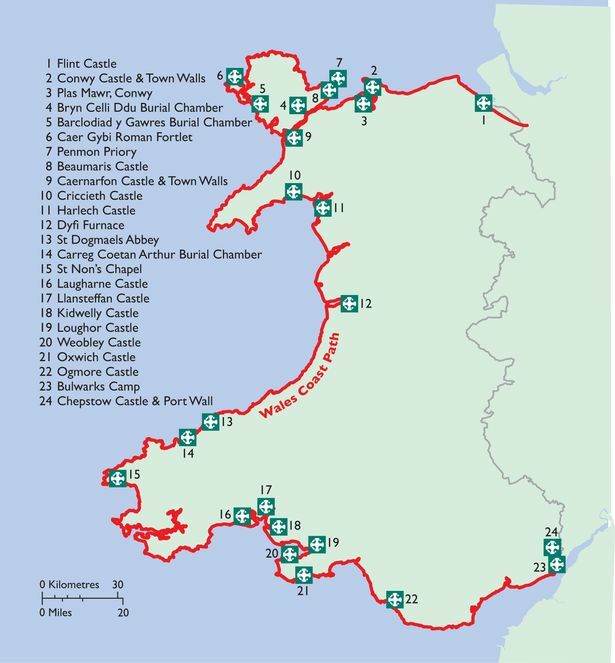 I would like to one day walk the entire Wales Coastal Path route and see all its historical sites. If I could do so all in one go over a number of days, without having to go home and then ‘pick up’ as a designated check point, it would be the experience of a lifetime. A fold away green poncho. I would wear this when it was raining or as a wind breaker. A scarf for warmth or to use as a makeshift sling if need be. A wide brimmed hat to keep the sun out of my eyes. 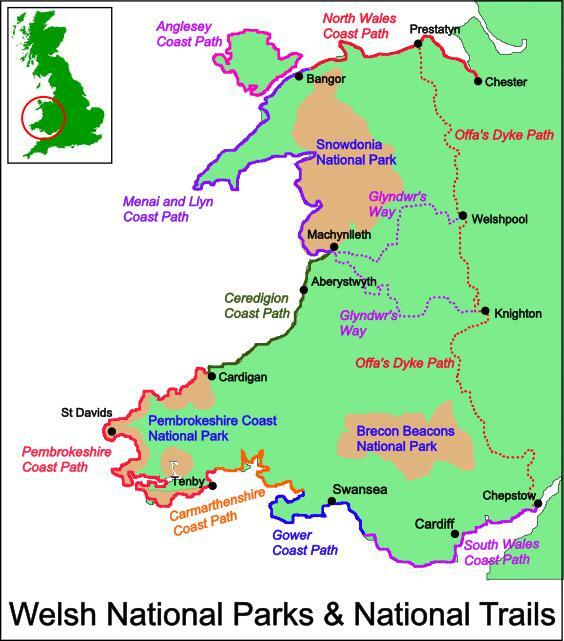 A full length, light weight, waterproof coat to deal with the Welsh weather. A fleece for heat retention if the wind chill increases. Hard wearing jeans – but comfortable clothing really is the key. Suitable walking shoes or boots. A flask with water to drink so I do not become dehydrated. Another small flash with something a bit stronger in it too. Snacks – likely peanuts and biscuits for their high fat content to keep my energy levels up. A first aid kit with the various necessities and maybe also a small book about common issues and how to patch them up until I can get medical aid. A working mobile phone fully charged. Although no one would want to contact me so it would make no difference. Change in order to use pay phones should the mobile phone fail. Some money nonetheless for food etc. A sturdy backpack in which to carry these items. A good camera to take photos on my journeys. Memories are important. I have most of these items ready and waiting already on a chair in the living room except the backpack, first aid kit (except plasters/band aids) and knowledge of the route. I just may set off in another direction entirely anyway… Adventure awaits! I guess what I am saying is that at heart, without realising it before, I have always been Snufkin from the Moomins. Snufkin is also known in the original Swedish version as Snusmumrik[en] or Mumrik[en] and in Finnish as Nuuskamuikkunen or Muikkunen. When my hair grows too long it begins to look like his and I did learn to play the harmonica too a few years ago. I don’t place much importance on possessions (except books) and would rather not have a set goal in my travels but just go wandering wherever life took me though I would return to certain places seasonally. I suppose that is what is important – having somewhere to return to where people will welcome you no matter how long you spend apart. Snufkin wandered but he always came back to Moomin Valley eventually. On a side note this song from the 1972 version makes Snukfin sound like a Wild West badass… Like ‘The Man With No Name’ wandering into a desolate town. This isn’t a serious post… I just considered the matter and realised it. I like the concept of being a wanderer. It’s a romantic notion but the reality is a far harsher matter altogether. This following song I always enjoyed though obviously it is taken out of context here. It is one of my all-time favourite songs. Bonus points if you realised the connection of Clint Eastwood who played the ‘Man With No Name’ and who starred alongside Lee Marvin, who sang ‘I Was Born Under A Wandering Star’, in ‘Paint Your Wagon’! Although I don’t say it at the end of every post, I assure you, comments and likes are always welcome. If you would like to follow me that would also be welcome obviously!